3 Days Left for Early Bird Tickets! You heard right! There are only three days left for early bird tickets! Early bird tickets end February 29, 2016-secure your tickets now! We always love this event and each year strive to make it more interesting and amazing for the artists involved as well as the guests who attend. 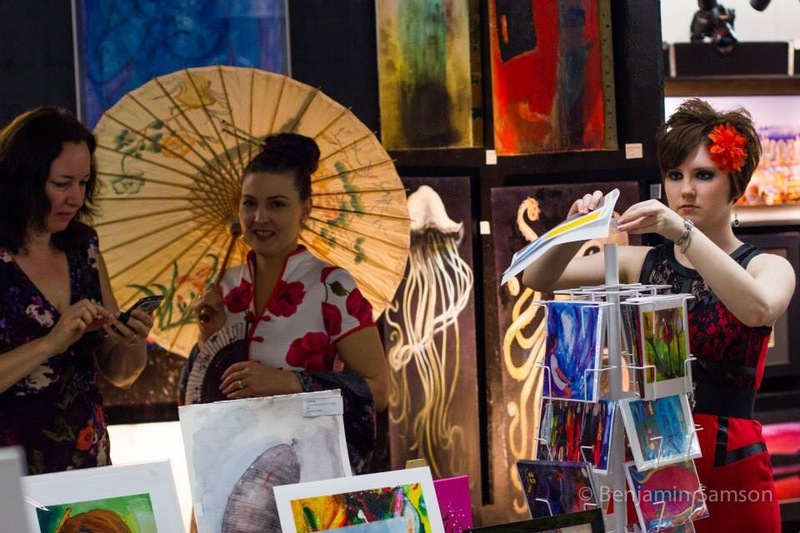 This year we will have an array of art for sale from over 100 artists from Canada, USA and Europe; we are very exited that once again, we have artists exhibiting from out of country. 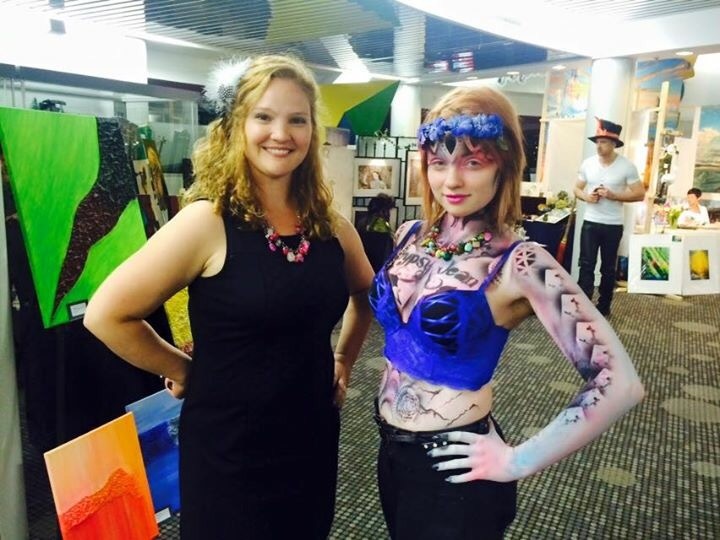 We will also continue with live painting, stage demonstrations, live music, a fashion show, silent and live auctions, food vendors, drinks and of course, the always popular body painting competition. Our theme this year is “Glamour Noir” as our event date falls on Friday, May 13. Guests are encouraged to adhere to the dress code and wear only red, white and black to the show. Please continue to support this fabulous event and all the imagination and possibility that lies within it. 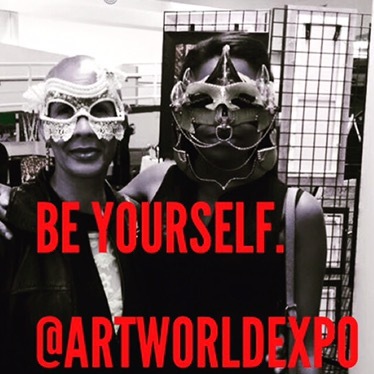 It’s more than just a show, it’s the Art World-a place you can truly experience everything and anything creative. 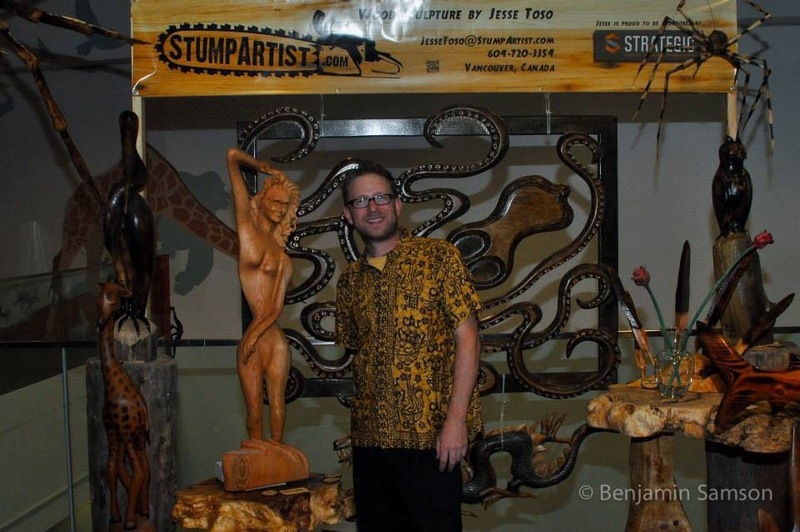 Stump Artist is back-maybe even live chainsaw carving! 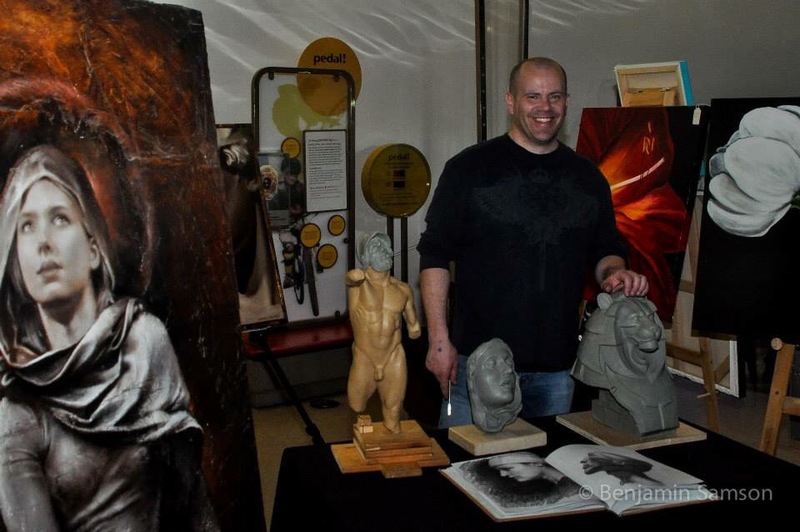 Michael Griffin Fine Art is back-be sure to chrck him out! Lisa Austin, The MT Canvas, and Deanna Fligg setting up a few years ago! 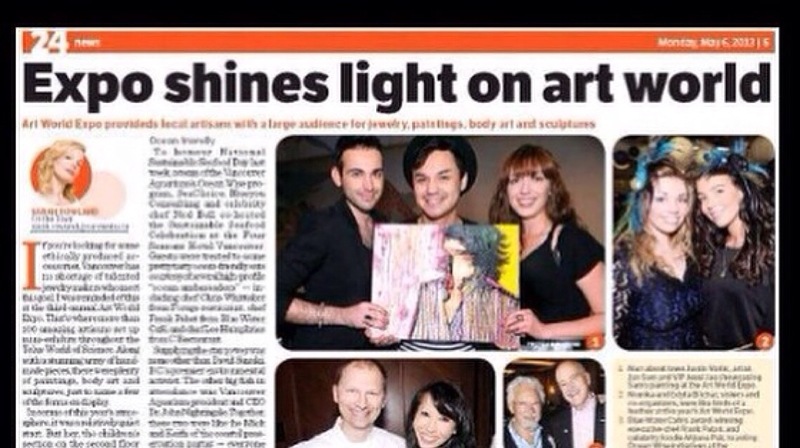 A feature from the 24HR -thanks Sarah Rowland! 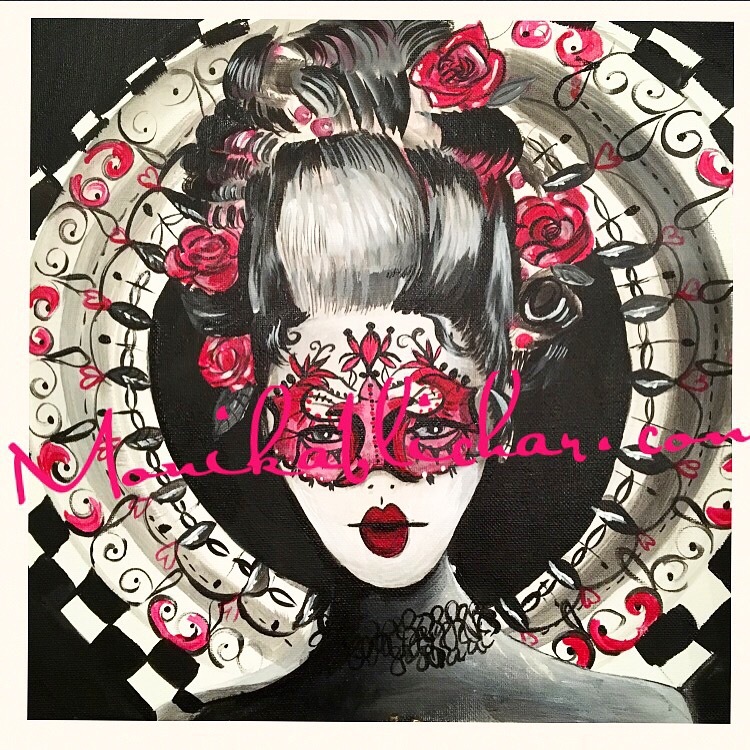 Producer and owner of Art World Expo, Monika Blichar is creating #GlamourNoir50 , a collection of 50 new paintings to be unveilled at this year’s event. Gary Weston’s art is a crowd favorite! Guests enjoying an array of stage performances all night! 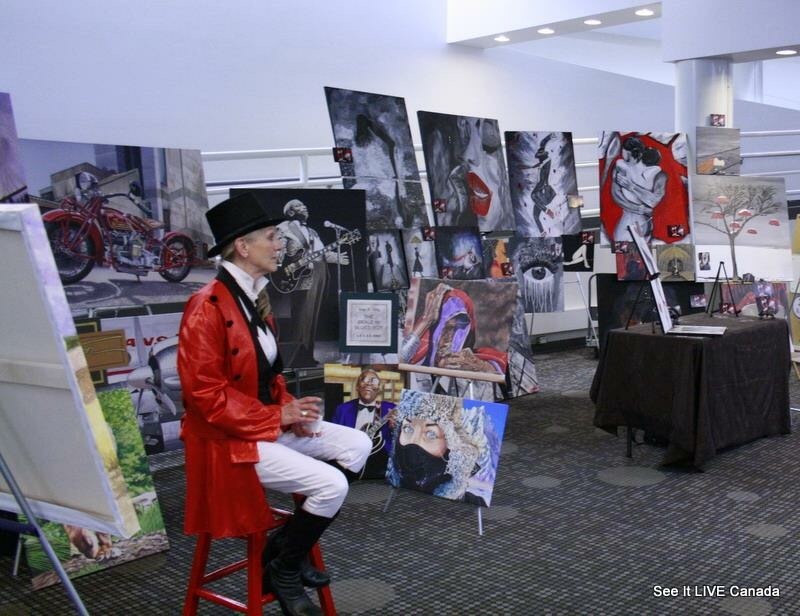 Gypsy Jean and her walking art-ask us about hownto get a walking ad for your business at the show his year! 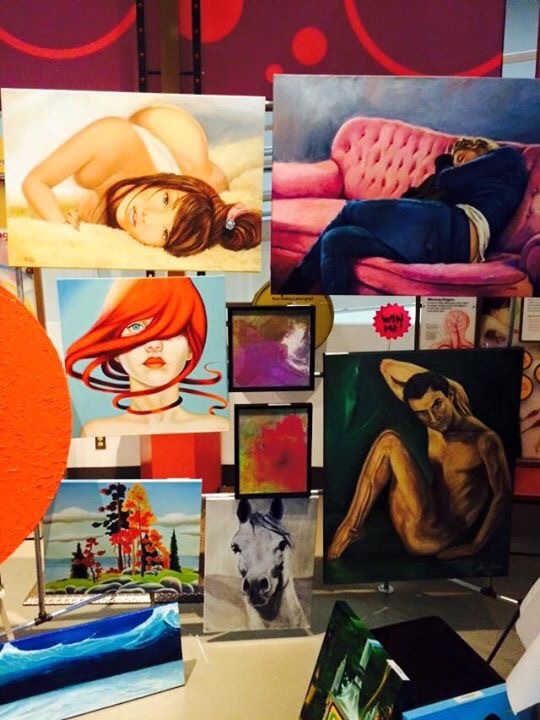 Open Door Gallery in 2015 -amazing! Purchase your tickets before the 29th of February and enjoy early bird discounts. Order your tickets HERE. 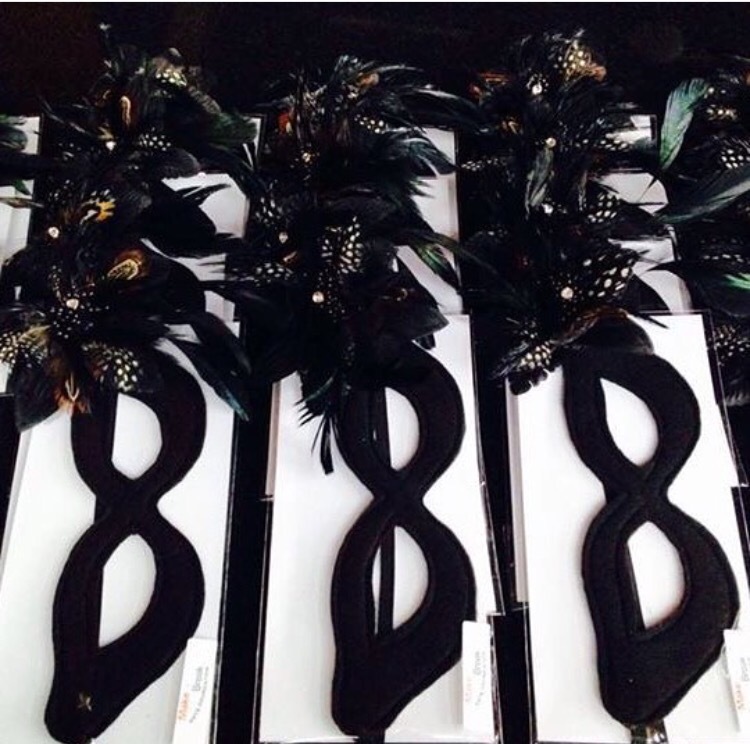 Consider purchasing a VIP ticket including a limited edition Coastal Imagination Glamour Noir mask by Coastal Storm Gallery. Created specifically for this event in support of Make and Break Arts Foundation who annually support kids and adult arts programs, artist exhibitions, and creative professional development both locally and internationally. 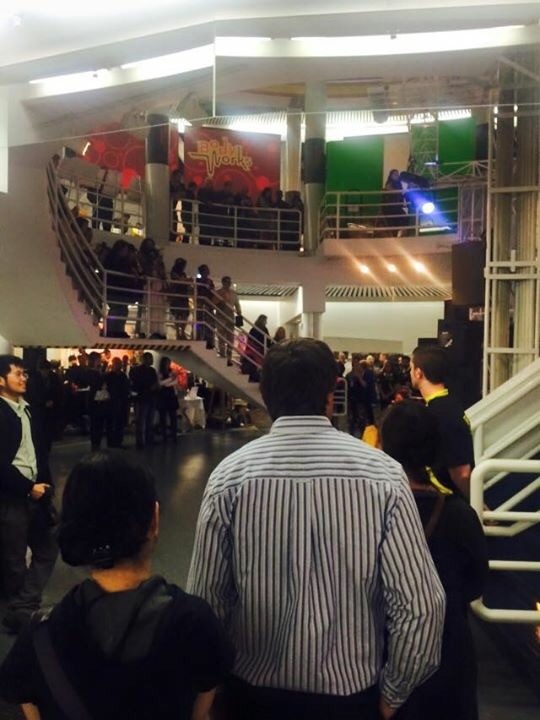 A VIP ticket also comes with a fast track line up, a special swag bag, and a drink ticket. Thank you Twin Peaks Construction for your ongoing sponsorship for our annual event. 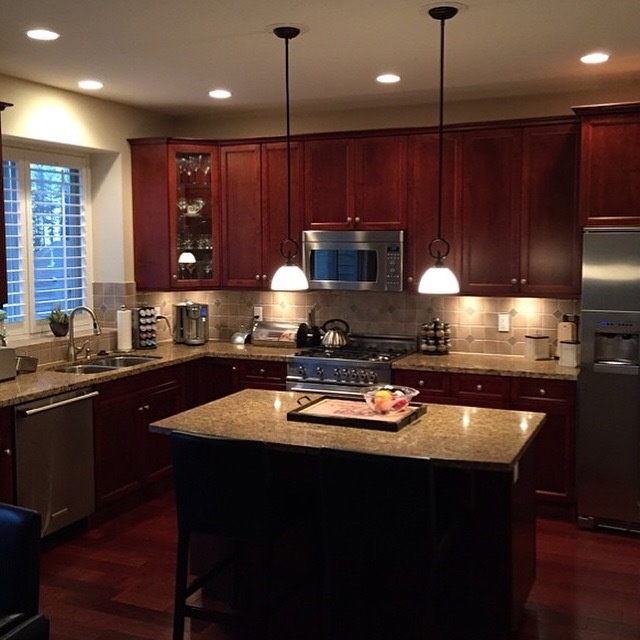 Be sure to visit their website for all your home and commercial renovation and new build needs! ← Early Bird Tickets Close in 10 Days!